This month eBay celebrates its twentieth anniversary and celebrates presenting eBay 4.0, its renewed application for mobile devices. 20 years have passed since the eBay founder Pierre Omidyar, he decided to set up as a personal project an online auction with which to recover some money by selling an old laser pointer used for presentations and finally sold for 14, $ 83. He became the first sale of a portal that currently has more than 800 million listings ads. This project was born as Auction Web, but this name did not last long. At first he thought EchoBay, but being already trademarked, Omidyar decided to contract it, obtaining eBay and registering that name. Thus was born one of the global portals of sale, which later became the benchmark for e -commerce world. After 20 years of brilliant career, eBay has become one of the 50 most valuable brands in the world and their numbers confirm it: over 157 million shoppers, 25 million merchants worldwide offering more than 800 million products. If something has highlighted eBay over the years it has been to revolutionize relations between sellers and buyers. Currently 53% of sales transactions a mobile device is used at some point in the buying process, generating 8.2 million weekly ads on mobile devices. Such trading volume from mobile platforms could not go unanswered. 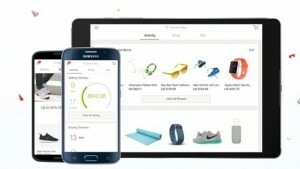 For that reason it has launched a new application for eBay 4.0 mobile devices. While it is true that the application for mobile devices eBay has since 2007 in 190 countries, and from it were listed over 1.2 billion ads, with 4.0 eBay wanted maximum ease the management of procurement operations and sales from the phone or tablet, offering a simplified and personalized experience, inspired by the reviews and ratings of customers where to find the product you are looking for much faster. eBay 4.0 offers a renewed interface that premium experience simple and personalized use for buyers and efficient management tool for marketers, providing a single application for both parties and compatible with iPhone, iPad and Android devices. Some of the most important news of eBay 4.0 is its new design that allows simple access to offers and trends that may be interested and information about promotions and highlights. It also offers a new channel called Activity in which the results are collected and lets you keep track of the most interesting, in that way, keep track of the deals you find. They have experience selling simplified making it much easier to put your products on sale, even if the first time you do on eBay and offering advice and suggestions to make your sales more effective. Facing the usual sellers, eBay 4.0 offers new tools that allow them to track and monitor the most simple and effective sales. If you have not yet tried it, you can download it now from the App Store or from Google Play.